Candle party companies offer people a way to make some extra money through home sales of candles and candle accessories. This type of job is best suited for outgoing folks with a passion for candles, who have a large network of friends and acquaintances. There are a variety of different candle companies that offer you the chance to host a party or become a consultant. Each one offers a wide selection of products at various price points. If you're considering hosting or becoming a consultant, here are some companies you could start with. Mia Bella works a little differently than many other candle companies in that they leave you free to sell their products in whatever way you see fit. You must order a certain number of candles and accessories each month at wholesale prices, and then sell them for a profit. Signing up for these monthly packages also entitles you to an official Mia Bella website through which you can promote the products. More details are available at Scent-Team.com. Scentsy has gained in popularity since it debuted in 2004. Their products are not candles in the traditional sense, since they don't use wicks or flame. Scentsy markets wax bars that melt slowly over a warmer, which scents the air like a scented candle would. To get started as a consultant you must purchase a starter kit, and keep up with a minimum monthly sales goal. Hostesses can book a party directly through the Scentsy website. Gold Canyon offers candles as well as bath and body products. They require you to purchase one of two demonstrator kits to get started as a consultant, but you can earn back the cost of your kit through sales in your first months. To learn more about becoming a Gold Canyon seller or to find a distributor to host a party, visit their website. Deciding which candle company to work with can be tricky. Here are a few things to consider when making your choice, whether you're looking to host a candle party or become a representative for the company. Products - Of course you'll want to find candles and accessories that you love and can recommend to others. Look at the ingredients for each company's candles and read testimonials on their websites. You can even ask for a sample candle or get in touch with a local consultant to try the products first hand. Commissions and Incentives - Take a close look at how much you'll make as both a party host and a consultant with each company. Compare the minimum sales requirements and discounts you'll receive for your own purchases. Upfront Costs - Some companies require you to make a one-time purchase for a starter kit, while others lock you in for monthly purchases. Decide which method will work best for you based on your marketing and sales skills. Shipping Costs - Some candle companies offer free shipping if you reach a certain level of sales in any given month. Shipping costs will vary depending on the company's location and policies, and if you sell a lot of candle products this cost could eat into your profits. Sales Reach - Hosting a candle party is fairly simple, and you'll only be asking your friends and acquaintances to attend a single gathering. Should you decide to jump in as a consultant, you'll have to be comfortable with networking and expanding your reach. 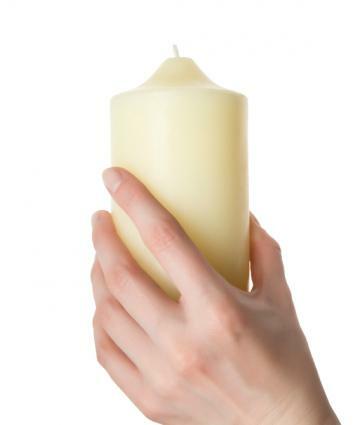 Consider whether or not you have the connections and networking savvy to make candle sales a profitable business. With the right products, candle sales can be a very lucrative business. You can choose to sell part time or full time as a consultant, or host a candle party to enjoy a fun evening and earn some free products. Take some time to decide which candle company is right for you before jumping in to the direct sales business.